When the California Association of Winegrape Growers named Steve McIntyre its Grower of the Year not long ago, he had a problem with it. Which isn’t like McIntyre. He’s one of the most mild-mannered men to ever plant a vineyard. Seems he wanted the name of his team on the plaque rather than his. “I hoped it said ‘Monterey Pacific’ and not my name,” he said then. But he’s OK not getting what he wants. All he originally wanted was to be a professional musician. Instead he’s become a pillar of Monterey County wine. Back before wine clubs were popular or Pinot was a sought-after varietal, he helped Rich Smith and Nicky Hahn create the Santa Lucia Highlands appellation while at his winemaking post with Smith & Hook. A green-practices pioneer, he later became a founding member of the Central Coast Vineyard Team’s Sustainability in Practice (SIP) program. At the same time, his evolution as a winemaker mirrored that of Monterey County. For years the area grew just as many grapes as Napa but enjoyed a fraction of the reputation for winemaking. McIntyre was meanwhile quietly cultivating Monterey Pacific, a vineyard management and development company, into the fifth-largest company of its kind in the United States. He and his team nurture more than 10,000 acres for popular labels like Bonny Doon, Biagio, J. Lohr and Trinchero. While his clients loved his work, nobody had heard of Monterey Pacific — to this day it doesn’t even have a Web address — which was fine with McIntyre. “It flies under the radar,” he says. He brought his own eponymous label to market with his 2005 Pinot. Now, like Monterey County, McIntyre is getting his due for grapes and wine. Teaming with winemaker Byron Kosuge, he can draw from decades — and thousands of acres — of experience. “It allows us to demonstrate what we do in the vineyard,” he says. It helps that he harvests from some of the Santa Lucia Highlands’ oldest Pinot Noir and Chardonnay vines, originally planted by the McFarland family in 1973. His Pinots are dense and lively benchmarks for the varietal. Chardonnays like his 2014 Estate K1 Block bring complexity and richness. The sparkling l’Homme Qui Ris is delicate, elegant and powerful at the same time. People like to speak highly of his character — and he does donate countless hours to 4-H — but he’s also just a surprising character. He and his wife, Kimberly, are obsessed with Bernese mountain dogs, with six currently sharing their house. He’s a licensed pilot. He likes to listen to Eminem while washing dishes — and compares the white rapper to his signature white wine. “They both have an edginess, and are higher in acidity,” he says. ...And he is also the owner of Monterey Pacific vineyard management company that farms 12,000 acres in Monterey County. McIntyre has also been a pioneer in sustainability. A founding member of the Central Coast Vineyard Team, he was one of the originators of SIP—Sustainability In Practice—certification program. The McIntyre Estate Vineyard was among the first properties in the Santa Lucia Highlands to be SIP-certified. Sustainable wine grapegrowing, he said, “is part of a ‘big picture’ philosophy that takes into account fiscal, social and environmental issues. To earn a SIP certification, growers are evaluated on everything from human resource management to habitat conservation. “’Green’ is more than a catch phrase here,” McIntyre said, adding that conscientious viticultural standards, whether organic, biodynamic, or sustainable, have long been the norm. Was it just my imagination or could we taste the sea wind, the morning fogs and mountain air in the wines? Probably imagination. But either way, the wines were fresh, balanced, elegant and delicious...."
August 4, 2016, Salinas Valley, CA -- As the proprietor of Monterey Pacific Inc., Steve McIntyre farms more than 12,000 acres of vineyards in Monterey County -- roughly 20% of the region’s total acreage. In the Santa Lucia Highlands, Steve has personally farmed or planted more than 25% of the entire AVA. 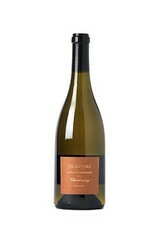 Steve also owns and operates McIntyre Vineyards, one of the California’s top producers of Chardonnay and Pinot Noir. As a prominent member of the county’s winegrowing and agricultural communities, Steve has been closely monitoring the developments with the Soberanes Fire near Big Sur. To help with the cost of the firefighting and rebuilding efforts, McIntyre Vineyards will donate 30% of the sales revenues from our 2013 Estate Chardonnay to the Monterey Community Foundation and the Coast Property Owners Association. This wine comes from our estate vineyard in the Santa Lucia Highlands and has earned high scores from the media including 91 points from the Wine Enthusiast. It retails for $36 a bottle. 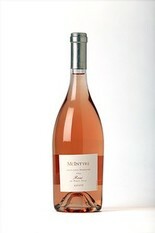 "Winemaker Tom Stutz has, for several vintages now, used grapes from the McIntyre Vineyard in the S.L.H. for a top flight Blanc de Noirs under the La Rochelle brand - going forward, the wines will come under the "La Vie" label. Tom anticipates getting Pinot Noir from McIntyre's Block 4 on Saturday or Monday. "Forty-four year old vines; quality looks great, although bunch counts are light. Should be another typically good year in the S.L.H.," comments Mr. Stutz. Winegrower Steve McIntyre also uses the vineyard to supply fruit for his own label's "l'Homme Qui Ris" release. The majority of Santa Lucia Highlands vineyards and producers will begin picking Pinot Noir in early September for their still wines. S.L.H. winegrowers polled agreed that while it looks like another "light year" in terms of crop loads, they are very happy with the slowly developing ripeness and maturation of flavors and expect "a very high quality harvest" across the appellation. The Santa Lucia Highlands is one of the crown jewels of California viticulture, growing and producing some of the state's best cool climate Pinot Noir, Chardonnay, and Syrah. The appellation encompasses more than 6,500 acres of prime vineyards, planted on the elevated terraces and alluvial fans of the Santa Lucia mountain range. The area's unique character was recognized with official A.V.A. status in 1991; 2016 marks the twenty-fifth anniversary of the S.L.H. 's designation. Formed in 2005, the Santa Lucia Highlands Wine Artisans is an association of vineyards and wineries that grow grapes here or use this region's fruit to craft their wines. The group's online home is SantaLuciaHighlands.com"
"It’s been hot, hot, hot, people. Humid, too. And the nights offer no respite. In other words, it’s the season of patio pounders. What constitutes a patio pounder? It’s a category that’s easy to define on the most general level: an uncomplicated but well-made wine, usually consumed chilled. It’s light and refreshing on the palate and has a low enough alcohol content that you can drink a few glasses without getting giggly. Monster zinfandels, butter-bomb chardonnays and brawny Napa cabernets need not apply. They’ll all be welcome back when things cool down. 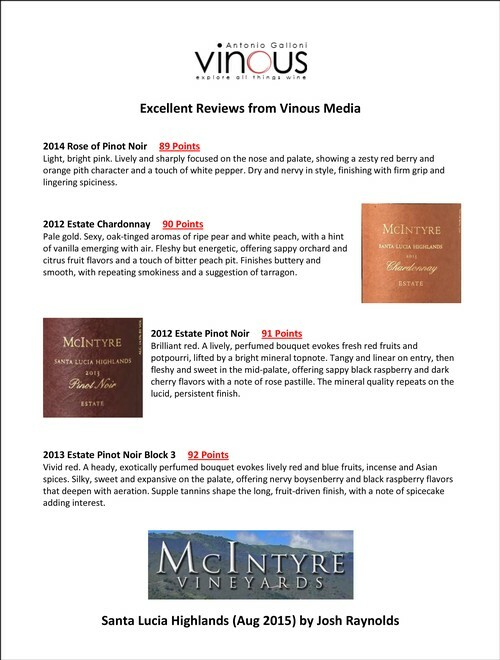 McIntyre Vineyards is dedicated to sustainability and shows that commitment through SIP Certification. Our 2012 and 2013 Pinot Noir SLH wines were mistakenly mislabeled with the SIP Certified seal, because they did not contain enough SIP Certified wine. Therefore these wines do not meet the requirement of having 85% SIP Certified fruit to use the seal on the label. Sustainability is very important to us and we continue to farm sustainability. Our sincere apologizes for the mix up. If you have a mislabeled wine, we will gladly offer 10% off your next wine purchase.